Sophisticated and modern, these dazzling earrings offer effortless glamour. Featuring a smoothly curved silhouette and stone set with crystals for added sparkle, these alluring accessories will instantly update any outfit. Swarovski Stardust Hoop Earrings is rated 5.0 out of 5 by 1. 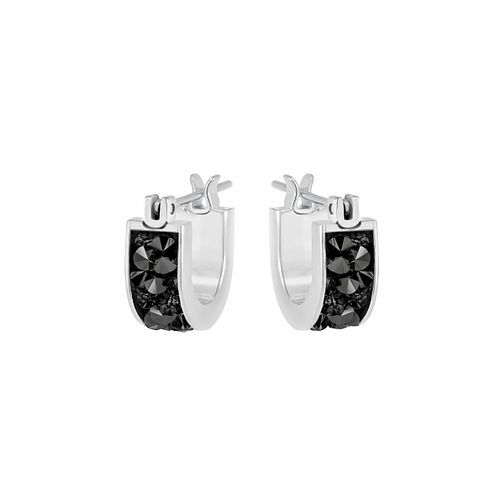 Rated 5 out of 5 by Anonymous from Small but smart Lovely earrings, look smart and stylish. Go well with chunky necklace.